We hope you purchased the film and will enjoy watching it and sharing it with your circles. Please spend another moment or two (or longer if you wish) by leaving your comment in our guest book about the film "Naples, Florida REDEFINING PARADISE" or its trailer. "Naples, FL Paradise Redefined" Blu-Ray or Standard DVD which I watched this month, I would love to have as a visitor from elsewhere at the hotel or restaurant I was patronizing. These can be made with a "Private Label" for distribution. I am so glad I first visited ABG World Video in 2006 when I was working in the Vanderbilt Beach area. I have had family events recorded for YouTube. Alex Goldstein has also done the background skating music recently for Olympians Meryl Davis and Charlie White. Naples is so lucky to have the talent of Alex Goldstein and Marina Berkovitch who exemplify their art with so much integrity, altruism, good will and love. I recommend ABG World Video without reservation. The music. . . the vibrant and exciting gallop through Naples downtown and the serene sound of the water flowing in the back waters of this filled- to-the-brim community. The music. . . . clipping rythm, soaring, light, dramatic . . . all moving with the people scenes, the coastal water scenes, the fun and the thought provoking life style of the folks who live here, play here, visit and revisit and long to be here people. Every household should own this reminder of how blessed we are to call Naples home, whether all the time or some of the time. Thank you Alex and Marina. Yet again, another work of art. I'll be playing this jaunt through Paradise often. This film on the unique little paradise of Naples should be part of all the Welcome To Naples packages hotels and Inns give out to visitors, and as well should loop all day long in the Visitors Bureau on a big screen to show people passing through what Naples is really like. The filmmaker Alexander Goldstein is world renowned and picked his scenes and subjects in a variety of moods to make you feel the smallness and warmth of our unique SW Florida city, while offering international quality shopping and endless beaches with parking down every single little dead end landing in the sand. Naples is not really a city which might imply tall buildings and smog and crowds; it is more like a little village with overflowing borders of great restaurants, jazz clubs, new movie houses, outdoors art shows, museums and music and individualistic nooks and crannies in unexpected places like the famous ZOO! Not that we want everybody in the world to come settle here, but for the happiness of those who do come by, seeing this film will urge them to try to go places they cannot find anywhere else. The film truly redefines our paradise. As one who was born and raised in Naples, your Documentary absolutely captured the essence of Naples! The portrayal of Naples' natural beauty and elegance in the film demonstrated the uniqueness Naples offers. Thank you for preserving a record of how beautiful Naples is for all! We were so impressed with the way you integrated the natural historic attributes of Naples with 21st century development. As Naples residents since 1955 we were reassured that the "heart of Naples" is alive and well. 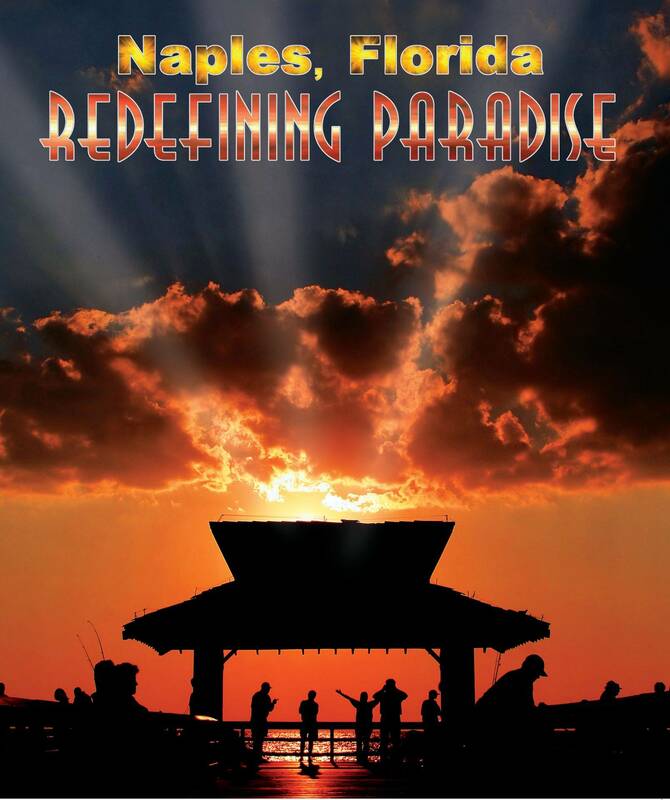 Thank you for offering your talents to produce "Redefining Paradise" Naples, Florida. © Copyright 2011-2019. All images, graphics, text, design elements and all other content represented on this website are copyrighted and are the sole property of Film Naples, ABG World LLC. All use and/or publication rights are reserved worldwide. All images and all other content are expressly not in the Public Domain. No images or other content on this website may be copied, stored, manipulated, published, sold or reproduced in whole or in part in any form without the prior written authorization of an authorized representative of Film Naples, ABG World LLC. As copyrighted material, all images displayed on this site are protected by copyright, intellectual property and all other applicable laws of the United States and other countries worldwide.